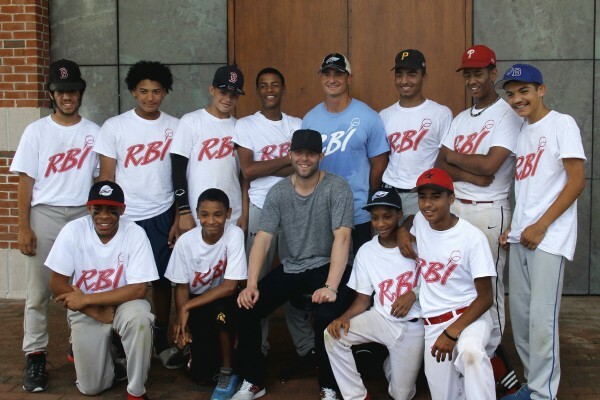 This year we were honored to send boys to the Dustin Pedroia Camp, run by the RBI Academy at Stonehill College in Easton, MA. The girls enjoyed their camp at Mt. Ida College in Newton, run by Revolution Camps. All the kids were picked by coaches who run teams in the leagues sponsored by the Red Sox Foundation and are well-deserving of this privilege. The girls are age 10 to 15, with an average age of12. They are from all around the Boston area - Allston, Brighton, Roxbury, Jamaica Plains and West Roxbury. The boys are a little older from 14 to 16, with an average age of 15. They from Boston mostly but also Roxbury, Dorchester and Roslindale. ... I had the opportunity to go to the Dustin Pedroia Camp for a few days. It is a great camp and one of my favorite summer experiences ... Each day we worked with the team of coaches to help make us better. They teach us so many different things in so little time ... Upon returning from the camp, it was playoff time. We had to play the Angels in the semi-finals. Telling my teammates a few things from the camp, I thought we could improve our teamwork even more. The things I learned helped me and my teammates because we beat the Angels in game one with a score of 9-8 ... I want to thank RBI, the Red Sox Foundation, and the BoSox club for the opportunities to make this season one of my favorites to play. Audriel G.
I have always been lucky enough to never or as far as I can remember to never have had a challenging barrier to face. Using Jackie Robinsons 9 values you could explain how you can deal with these barriers but also how to prevent them ... All of these values help me understand and appreciate the opportunities I have in life. Most recently, I had the opportunity to attend the Dustin Pedroia Baseball Camp which was an experience I will never forget. The people there are very nice and they helped me learn a lot. Thank you to the BoSox club for providing this experience that I will remember for a long time. Omar R.
This past July the BoSox club sponsored me to attend the Revolution softball camp at Mount Ida College in Newton, Ma. I am very grateful for this experience because I learned a lot and increased my knowledge of the game. 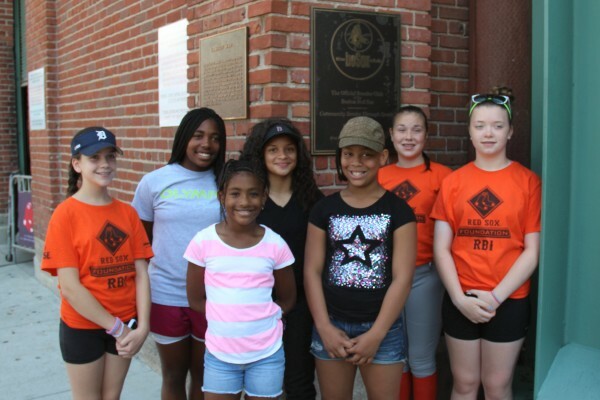 Determination was one of the Jackie Robinson values I used at the Revolution softball camp. In the past whenever I was in the outfield I continuously always read the ball wrong or never be able to find the ball after it is going to fall behind me. My goal going into the camp was to learn how to read a fly ball and to be able to recover if I was to read it wrong ... My determination helped me accomplish this because I didn't give up on myself and I continued to keep trying until I got it right. I just want to thank the BoSox club for this opportunity to go to this camp because I learned a lot about the game and myself. Ward L.
I would like to thank the Boston Red Sox Foundation and the BoSox Club for giving me the opportunity to attend the Revolution Softball Camp this week. The last four days at camp were very challenging to me. . . This was my first year doing RBI softball and I wasn't sure if I was going to be any good at it or not. This camp allowed me to build my confidence. I feel like I am good at softball now and can really help my team. Emily K.